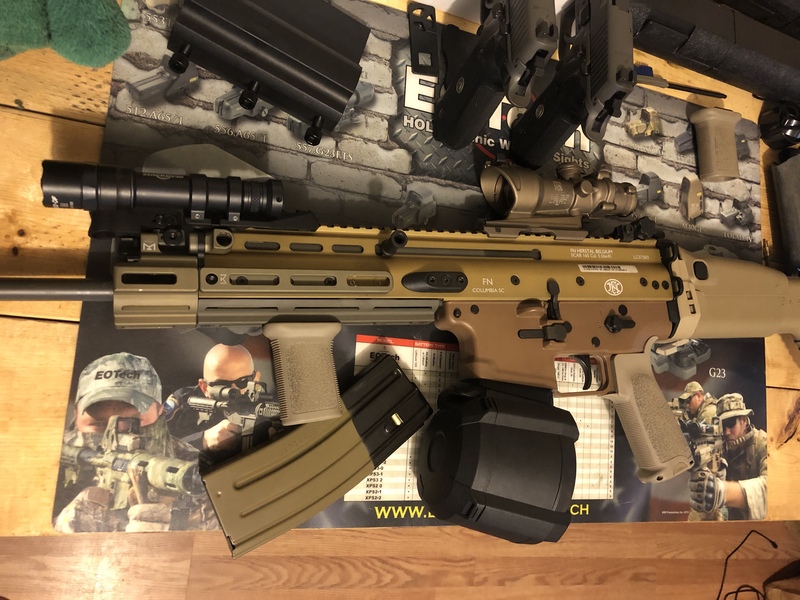 In 2009 the FN SCAR entered service and joined the ranks as a U.S. service rifle platform, first deployed with 75th Ranger Regiment of the United States Army. After 5 years in development and testing, winning the US SOCOM solicitation, it was put into service and sent to war. Nine years later the SCAR is in use by 20 nations in various configurations. There is no doubt it is considered one of the preeminent modern carbines developed in the 21st century. It’s 7.62x51mm ‘H’ Model, the Mk. 17 in U.S. service, has been of particular note due to its lightweight, accurate, reliable, and robust construction delivering a combat rifle of exceptional firepower in a weight most can only field a 5.56mm. 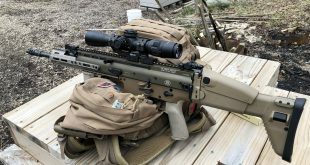 The FN SCAR has seen success worldwide but technology advances at a breakneck pace even in the firearms world. 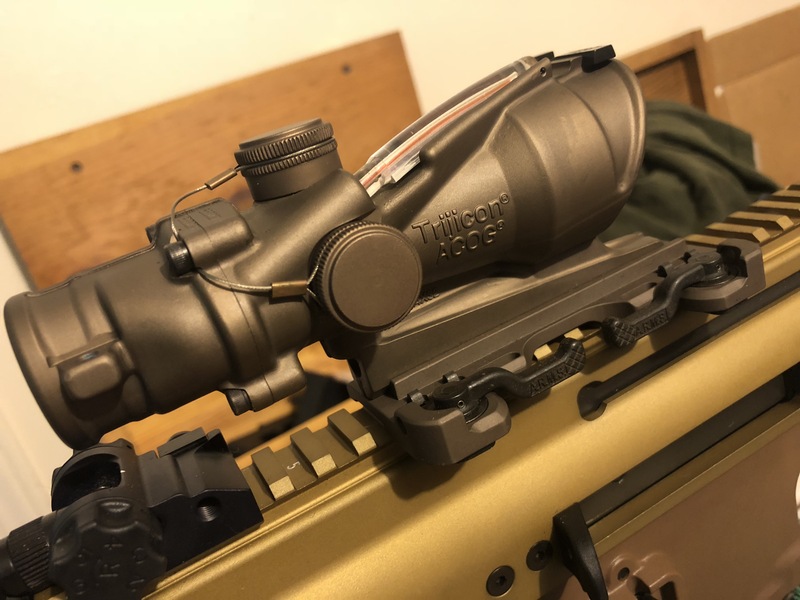 While the core tech surrounding modern centerfire rifles hasn’t leapt forward, the steady evolution and refinement of the designs and the recent explosion of advances in supporting tech (optics, lights, lasers, etc.) has. During this advancement the SCAR’s technical data package remained very early 2000’s. The stock SCAR 16’s and 17’s are as they have always been. With AR-15’s being the popular everyman’s rifle that they are technology had focused very heavily on them. I love the AR-15, I own six at this point, it is and will be a mainstay defensive rifle for decades to come. But I believe the SCAR is the superior platform. Data from the DoD supports this conclusion, most telling in my opinion from the USMC’s IAR trials. As such I set out to retrofit a SCAR 16 as a modernized technical data package. I launched the SCAR MOD1 Project. I set out to make a rifle designed for SOCOM’s early 2000’s requirement list keep up with the decade of advancement. Keeping the SCAR a premier 5.56 carbine. Old parts needed to be updated. Newly developed parts needed to be added to conform to changes in supporting gear used and tactics. The conversation I had with FN illustrated their interest. However ultimately they understood the rapid prototyping and development by smaller after market sources outpaced them, plus SOCOM and their other purchasers were buying the TDP’s as they were being produced. It was resource inefficient to develop a theoretical update on a system their large buyers take as is. It made more sense for the aftermarket to innovate then for FN to tool up and vastly complicate the process of finishing the rifles that are already selling like wildfire. FN’s people have high praise for their aftermarket partners. They’ve innovated and kept pace with the AR, skipping a great deal of the noise and nonsense that the larger market experienced. So what items made the cut for MOD1? The barrel was shortened to an approximate 14.5″ and capped permanently with a new muzzle device for legality. I would, if given the option, just keep it a 1/2×28 thread for end user muzzle device selection however the NFA does not allow me that luxury. 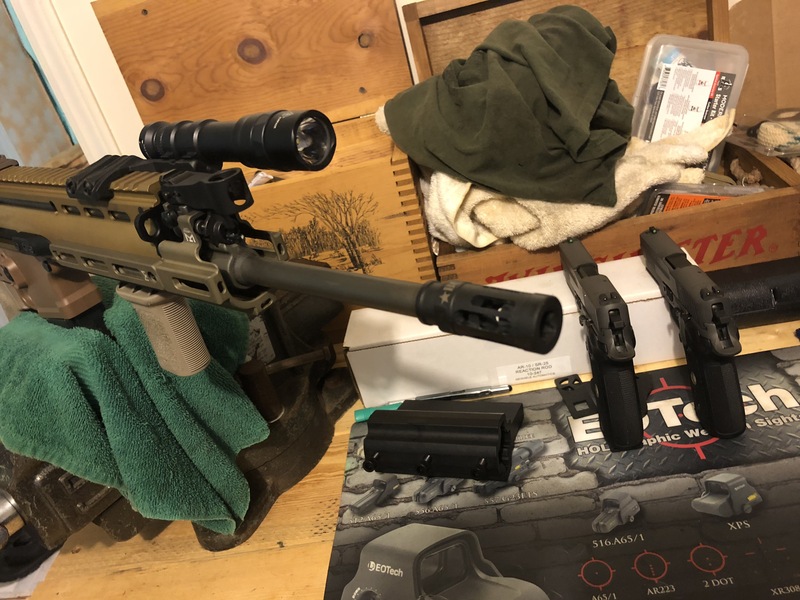 I have found 14.5’s are very maneuverable without cutting the SCAR’s barrel length so short that muzzle velocity starts being dropped at a substantial and detrimental rate. It is still a Title I rifle by BATFE definition, keeping legal life easy. Bonus: In my state it is a handgun (legally) and it is conferred the benefits of being a handgun. I can conceal carry my SCAR MOD1. The barrel modification was done by Parker Mountain Machine. Jarod and Travis not only properly cut, recrown, and thread the barrel, they also reoptimize the gas system for the altered dwell time for proper cycling. There is a wait time on the services, as they offer a wide variety, but the work is premier tier and the attention to detail is superb. I couldn’t be happier with the performance of the reworked barrel. The old Primary Weapons Systems muzzle break was, in my opinion, an inferior choice for a fighting and defensive rifle (good for competition but still a little overkill on a 5.56) I chose a BCM MOD1 Compensator to reduce muzzle flash and direct gas forward during shooting. Better indoors and designed for short barrels. Any task appropriate muzzle device and a change to the shorter 14.5″ barrel summarize this MOD1 upgrade. The original handguard system for the SCAR rifles is integral to the receiver. The small side rail sections, the under barrel rail, and the monolithic top rail all end at the front of the receiver. This designs accounts for a factory short barrel that can be dropped into the rifle, quickly torqued into place, and equipment made mission ready. This design decision didn’t leave much mounting space. Many users, myself included, wanted to push our grip further forward too and our AR’s had allowed this luxury. The stock configuration just wasn’t conducive to these desires. Parker Mountain Machine had this solution too, or rather several solutions. 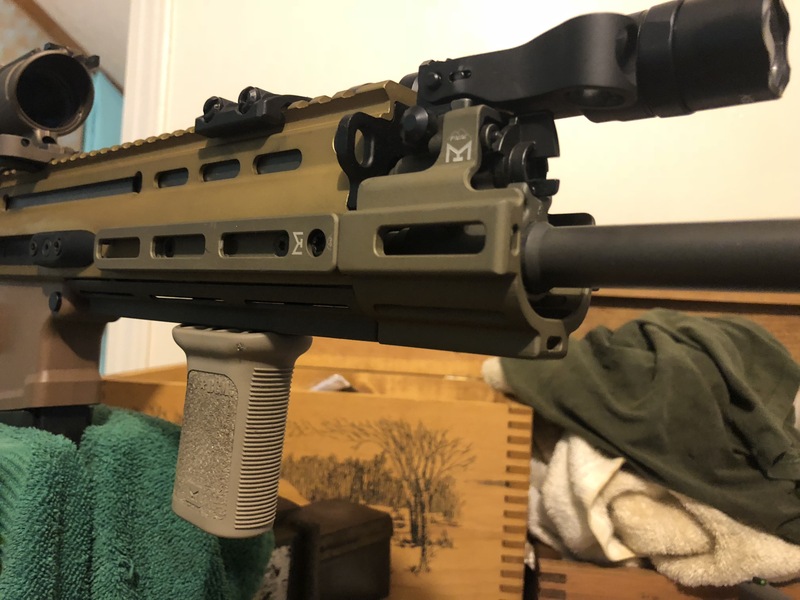 Replacing the side rails with longer sections of M-LOK and then extending the rail and handguard around the barrel and gas block with their MRE. This upgrades the mounting space to the smoother, lighter, stronger system NSWC Crane tested variant, M-LOK won the blessing over Keymod. These negative space mounting systems are additionally much more comfortable than their older picatinny predecessor. Greater ergonomic freedom to the end users and more mounting space for the supporting mission essential equipment. More protection for the hands around the barrel. Everything I felt needed greater utility is served by this series of modifications. Parker Mountain Machine even sells the whole kit of upgrades in a discounted package. Surefire leads the weapon light market for a reason. This one is simple. No one is making better lights than Surefire at the moment. I picked up an M600DF. With rechargeable 18650 cells and a 1,500 lumen output the light, like the entire Scout line, is durable, reliable, and bright. A serious choice for a deadly serious topic. 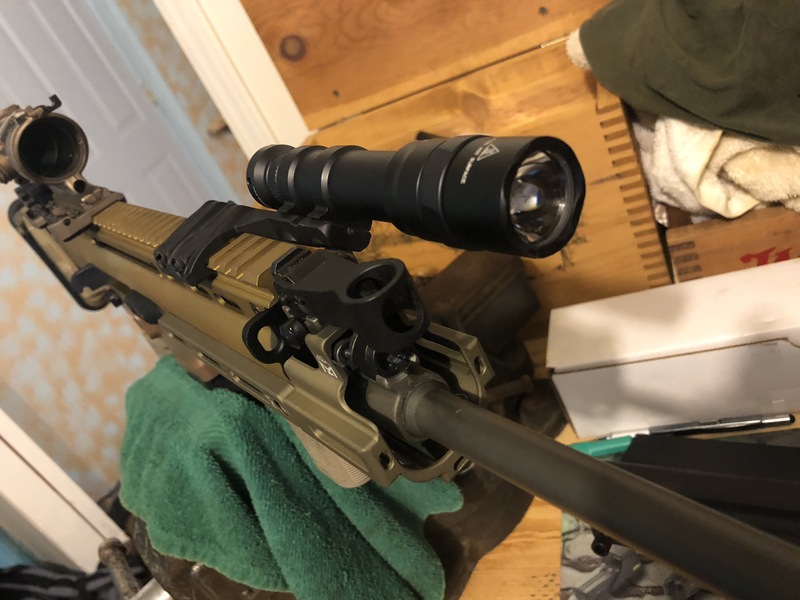 Before almost any other item a light is a necessary addition to a fighting/defensive carbine. See it. Blind it. Light it up. I’ve covered the optic selection process thoroughly here, here, and here. 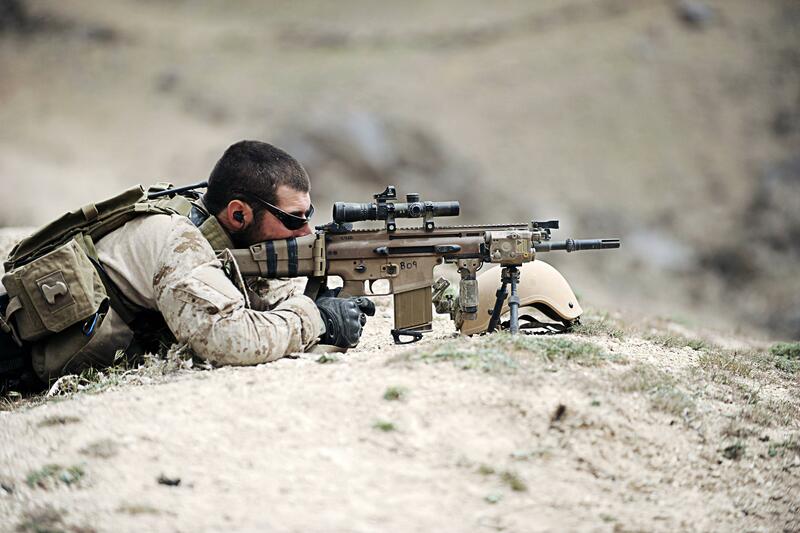 Trijicon’s ACOG is arguably one of the most combat proven and durable optical systems in circulation today. The selection of the ACOG for an all purpose fighting rifle, especially mine, is not a hard conclusion to come to. 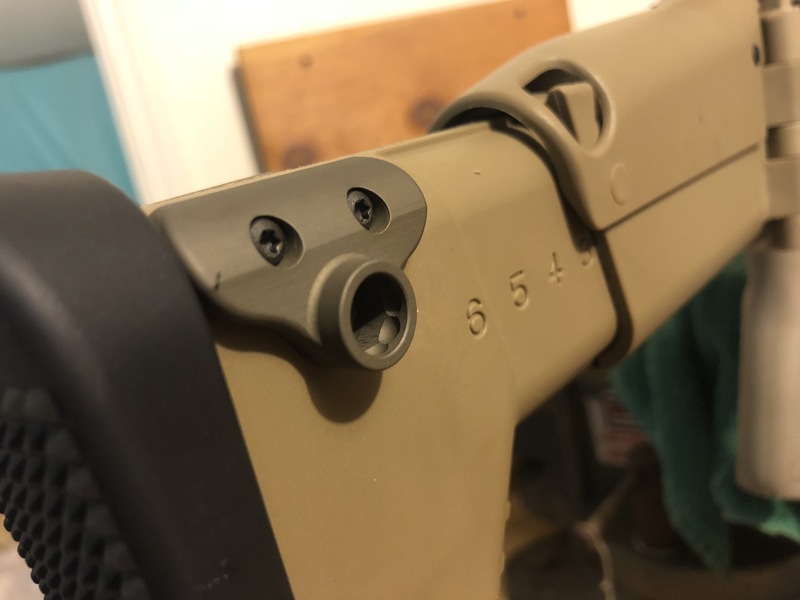 A functioning trigger is a must on a rifle. The SCAR’s single stage offering from the factory is a functional, solid, reliable one. 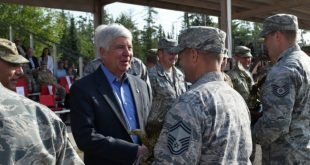 Vitriol that spread around the stock SCAR trigger, as is also common with mil-spec AR triggers, is repetition of something someone heard from someone who heard from someone whom that individual assumed knew what they were talking about. 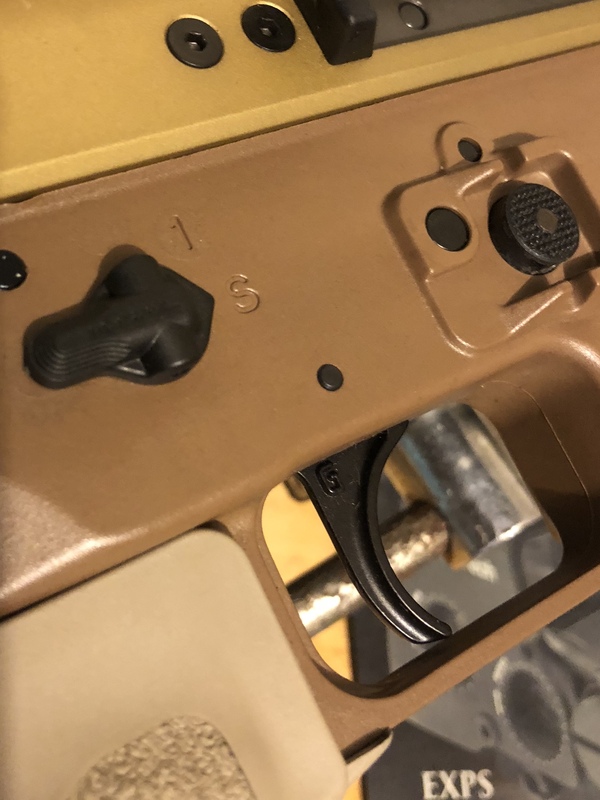 That said this upgraded trigger is a Geissele Super SCAR, a refined 2-Stage combat trigger that is precisely engineered for a trigger pull allowing a shooter to minimize sympathetic movement during trigger press. It improves the inherent accuracy of the weapon system when properly utilized. 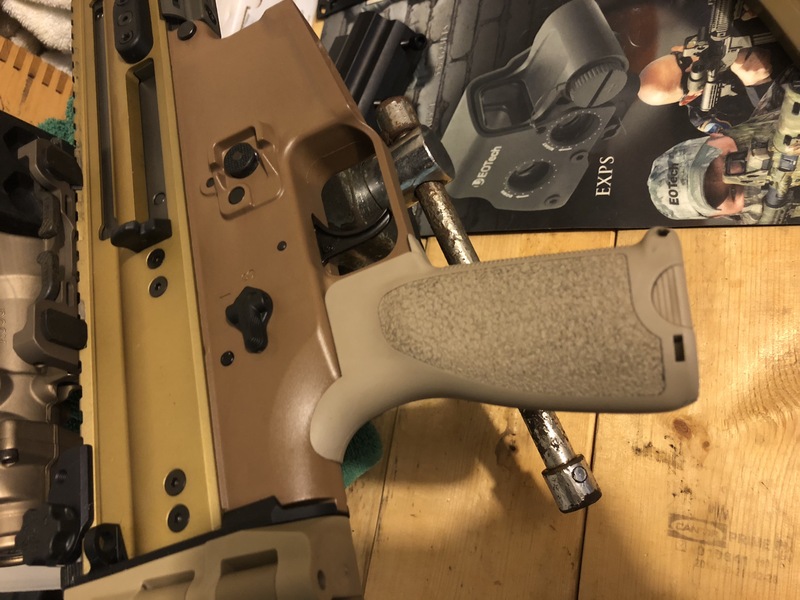 The Super SCAR reinvents Geissele’s SOCOM approved SSF/SSA triggers. I prefer Geissele triggers in every platform that can utilize one. This isn’t to indicate the stock triggers are bad, most are good, excellent even. But as an optimized rifle, failing to take advantage of a refined trigger would rob the rifle of capability. This upgrade allows any user, experienced or novice, results closer to the raw undisturbed potential of the SCAR. 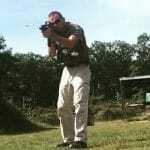 The shooter can access more of the practical mechanical accuracy of rifle. Smaller upgrades, and less expensive than many, were quicker to implement on the rifle. 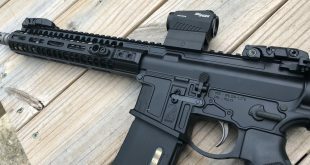 Adding the BCM foregrip to the handguard and swapping the A2 style pistol grip to the modernized ergonomics of the BCM MOD3 continue the rifle’s style shift. These upgrades ergonomically drift the SCAR to be shot with greater ease. This is especially true in the squared off isosceles stance variations taught in modern courses for shooting. The A2 pistol grip was from an era where it was still the assumption the rifle would be slow fired from the prone position most often. Our knowledge of the situational reality has evolved since that time in the 1980’s. Also upgraded was the safety selectors. The stock selector is perfectly serviceable. But even I have to wonder who phoned in the two backgammon disks with legs as the final SCAR selector design. 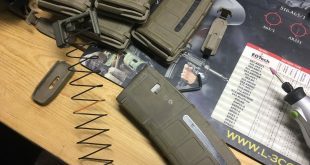 The Magpul selectors bring it back closer to the AR-15 with better texturing for positive engagement both on and off. If you are carrying a service rifle you should be using a modern 2-Point sling. A single point is passable in certain circumstances on small platforms. A two point is the best option in nearly all situations. Parker Mountain Machine makes the solution once again. The greatest of which is the rear sling mount. The PMM SCAR Stock QD allows for the best sling placement you can acheive on a rifle. The sling runs from front of the receiver, around your body, and the into the far side of the stock. The rifle maintains full contact with the shooter through the stock and isn’t compromised by sliding nylon. The sling isn’t placed between the shooters body and the rifle unlike many earlier designs. It further minimizes any sort of pressure point creation and allows the shooter to swap shoulders without choking. This SCAR is a culmination of purpose driven upgrades. A top down technical data package that mitigates discovered weak points and optimizes strengths in the design.